P.K. Newby, ScD, MPH, MS (“The Nutrition Doctor”) is a scientist, gastronome, and author with twenty-five years’ experience researching diet-related diseases; studying how people make food choices and their impact on the environment; and teaching why what we eat matters, from farm to fork. She is a thought leader who speaks locally, nationally, and internationally, and her newest book is Food and Nutrition: What Everyone Needs to Know (Oxford University Press, 2018). Other works include Superfoods (National Geographic, 2016); two ebooks on employee health and wellness (Virgin Pulse, 2015); and Foods for Health: Choose and Use the Very Best Foods for Your Family and Our Planet (National Geographic, 2014; with Barton Seaver). She also communicates with the public on her blog, Cooking & Eating the PK Way. She consults regularly and has served as a science advisor to and on the boards of several companies. Dr. Newby's passion for nutrition stems from a life-long love affair with food, from cooking, baking, and gardening as a kid to working in the restaurant industry. She was one of the “best undiscovered cooks” on ABC’s The Taste (2014-2015) where she created globally inspired, plant-based cuisine based on her “Healthy Hedonism” philosophy—and she was the last woman standing with domestic goddess Nigella Lawson. She holds a doctorate from Harvard, two master’s degrees from Columbia, and served on the faculties at Tufts University (Research Scientist & Assistant Professor) and Boston University (Associate Professor). She’s currently an Adjunct Associate Professor and award-winning educator at Harvard and dedicates most of her time to fighting anti-science in all the ways that she can. Learn more below about what makes me tick, science to art, sport and beyond, or download my brief bio here. I’ve spent most of my professional life in the Ivory Tower as both student and researcher and am still an Adjunct Associate Professor at Harvard. I earned my doctoral degree in nutrition (ScD) at Harvard School of Public Health and completed master’s degrees in public health (MPH) and human nutrition (MS) from Columbia University. My bachelor’s degree (BS) in social welfare is from the State University of New York at Albany, with minors in psychology and sociology. As a nutrition scientist and health expert, I spend most of my time researching diet, obesity, and chronic diseases; studying how people eat; and educating students and the public about a wide range of contemporary food issues. Today, I focus my time on science communication to reach everyday eaters far beyond the university. 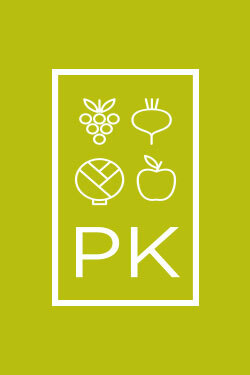 My food and nutrition philosophy weaves together traditional nutrition science, behavioral science, and environmental science in a concept known as “nutrition ecology,” which incorporating all things food “from farm to fork.” I love working at the intersection of academia, government, and industry and have consulted for a wide range of organizations and currently serve on the Science Advisory Board of Virgin Pulse. Click here for more information about my scientific activities, or download my complete CV for more details. Science makes the world go ’round—but art makes the ride more enjoyable. My creative pursuits span the culinary and performing arts, kitchen to stage. We had a huge garden in my backyard when I was a kid, and I developed cooking and baking skills at my mother’s side. I started working in an Irish pub as a teenager and gained an appreciation for fine dining after a decade in the business. I’ve worked for many excellent restaurants and caterers and held a job as one of the main cooks in a small vegetarian café while in college. I’ve spent my life cooking and entertaining, from intimate dinner parties with wine-paired courses to lavish cocktail parties with signature cocktails. Whatever’s on the menu, my dishes feature global flavors and spices and make plants the star of the plate. When I’m not in the kitchen, I’m at the theater. After spending many years performing onstage—not professionally, though when I was a little girl I dreamt of being a Broadway star—I founded a Boston-based community theatre company. The Longwood Players produces three shows annually and its mission is to bring together individuals from all walks of life to provide an artistic outlet through the development of dramatic and musical works of art. I began this organization when I was a student at Harvard, and it grew into one of Boston’s preeminent nonprofit theater companies, now in its eighteenth season. (I’m now President Emeritus and Founder.) Although I grew up acting, singing, and dancing, I don’t spend too much time onstage these days. Instead, I save my performances for the kitchen and my online cooking channel and, increasingly, television, where my role as a food personality helps people approach nutrition in a fun and accessible (and delicious!) way. In 2014, I made my primetime debut on ABC’s The Taste (visit my news and events page for more details on that) as one of America’s “best undiscovered cooks” showcasing globally inspired, plant-based cuisine to show the world that healthy can still be delicious. 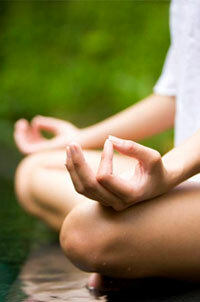 Meditation is part of my daily life and I’ve been practicing yoga regularly for 6 years for health and wellbeing. Participating in a yoga retreat is a sublime gift I give myself every now and again, and I’ve done so in Massachusetts (Berkshires and Martha’s Vineyard), New York, and Thailand; India is next on my list. It probably won’t come as too much of a surprise that I also like to keep my endorphins up and my weight down by staying active. II wouldn’t be much of a role model if I didn’t practice what I preach!) I was even a certified fitness instructor while a struggling grad student to help me pay the bills while getting free gym memberships. Today, my main fitness endeavors are walking, yoga, Pilates, and running. I ran the Boston Marathon in 2010 and 2013. Other marathons include Portland, ME, in 2011 (3:42:30, my personal record and a Boston qualifier); Las Vegas, NV in 2014; the Chicago, IL in 2015; and Toronto, CAN in 2017. (I’ve also got a few half-marathons and 10Ks in there too, like most runners.) Be warned: Marathons are addictive (in a mostly healthy way). And I dream about traveling to space.